Starring: Viggo Mortensen, Naomi Watts, Vincent Cassel, Armin Mueller-Stahl, Sinéad Cusack, Jerzy Skolimowski, Donald Sumpter, Tamer Hassan, Josef Altin. With A History of Violence in 2005, David Cronenberg seemed to take his career in a more mainstream direction. It wasn’t the horror or dark science fiction that many had come to know him by, but an arresting thriller that was actually based on a graphic novel. 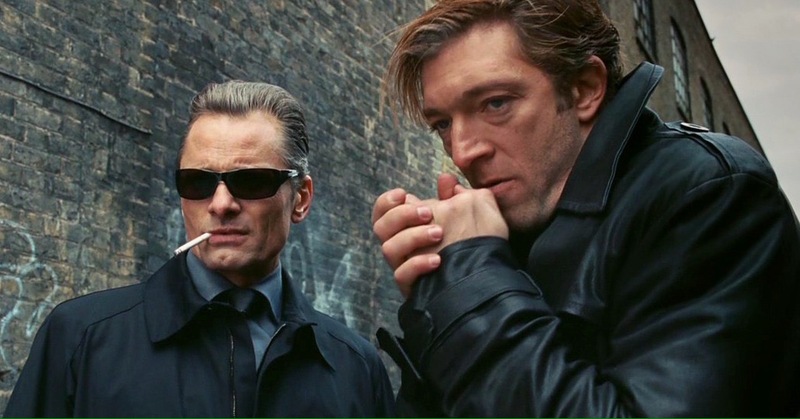 It was a big success and, two years later, led to Cronenberg sticking with his leading man Viggo Mortensen and attempting something similar with Eastern Promises. You could say that their second collaboration delivers something even more satisfying. Plot: Deeply affected by the death of a Russian teenager in childbirth, nurse Anna (Naomi Watts) takes it upon herself to find her family and save the baby from foster care. With access to the girl’s diary, Anna is led to Semyon (Armin Mueller-Stahl), the owner of a Trans-Siberian restaurant. 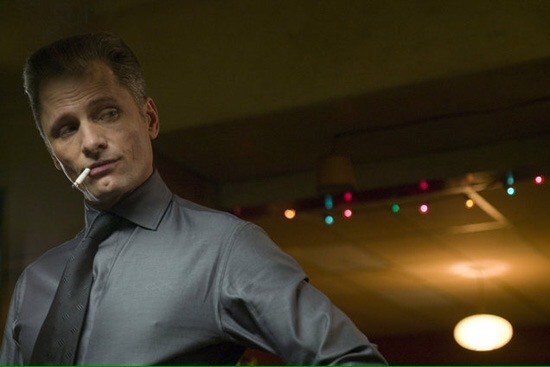 Semyon isn’t the endearing character that he makes out, however, and the closer Anna gets to the girls story, the closer she gets to the enigmatic ‘driver’ Nikolai (Viggo Mortensen) and the bloody underworld of the Russian Mafia. When you think of a mob movie, your memory will most likely be jogged to the glamorously brutal Italian American variety. The obvious ones being the exemplary work of Scorsese’s Goodfellas and Mean Streets or Coppola’s The Godfather. You may even consider the violent Cuban’s of DePalma’s Scarface and the Puerto Rican’s of Carlito’s Way or perhaps the Irish goons from The Coen brothers Miller’s Crossing. With Eastern Promises, though, Cronenberg decides to focus on the Russian mafia operating from a restaurant in the drab, Hackney borough of London. Although it mines the same well as some of the aforementioned films, it feels like a fresh take on the mob movie, primarily because it’s an ethnic group of mobsters that don’t often get attention. Steven Knight’s screenplay focuses on the murky world of people trafficking while exploring the tradition and initiation of Russian criminal codes. The gangsters of this story have to earn their positions and their stripes which are represented in tattoo form and by doing so, brings forth an genuine air of mystery and intrigue to the characters. This is the master stoke of the film. And Cronenberg knows it. He’s not overly concerned with the plot itself. Sure, it plays out with a good degree of tension and more than holds your interest but the real draw here is what we don’t see. It’s the machinations of this criminal underworld and their untold code of ethics that intrigues the most. This is exemplified with some great performances; Naomi Watts delivers the perfect bewilderment of a women out of her depth and while I’m a huge fan of Vincent Cassel – and his loose-cannon, Kirill, gets a substantial amount to do here – even he isn’t the standout. It’s the unnerving work of Armin Mueller-Stahl who brings real gravitas as Semyon, the patriarchal head of the family and the quietly affecting, yet very intimidating, Viggo Mortensen who own this film. When we speak of mystery and intrigue, Mortensen’s loyal driver Nikolai is the epitome of it. It’s an absolutely captivating performance which rightly gained him his first (and long overdue) Oscar nomination with his involvement in a steam-room brawl worth the nomination alone. Where the film is slightly let down, though, is in its rushed denouement. For the most part, it revels in a particular pace, but when it’s drawing to a close it feels muddled and determined to finish within a particular running time. Up until then, however, it’s a brutal and punishing crime yarn that hits many a strong note and breathes new life into the mob film. A viceral, stylish and compelling story that benefits greatly from masterful acting. It’s arguably both Cronenberg and Mortensen’s finest work. This is an Eastern themed crime film that keeps good on its Promises. Trivia: To prepare for his role, Viggo Mortensen traveled alone to Moscow, St. Petersburg and the Ural Mountain region of Siberia, where he spent five days driving around without a translator. He read books on the gangs of the Vory v Zakone (thieves in law), Russian prison culture and the importance of prison tattoos as criminal résumés, and perfected his character’s Siberian accent and learned lines in Russian, Ukrainian and English. During filming, he used worry beads made in prison from melted-down plastic cigarette lighters and decorated his trailer with copies of Russian icons. This entry was posted on March 31, 2017 at 3:50 pm and is filed under Crime with tags 2007. You can follow any responses to this entry through the RSS 2.0 feed. You can leave a response, or trackback from your own site. Oh, yeah. This and ‘A History of Violence’ is my fave Cronenberg double-feature of late. They’re great films. 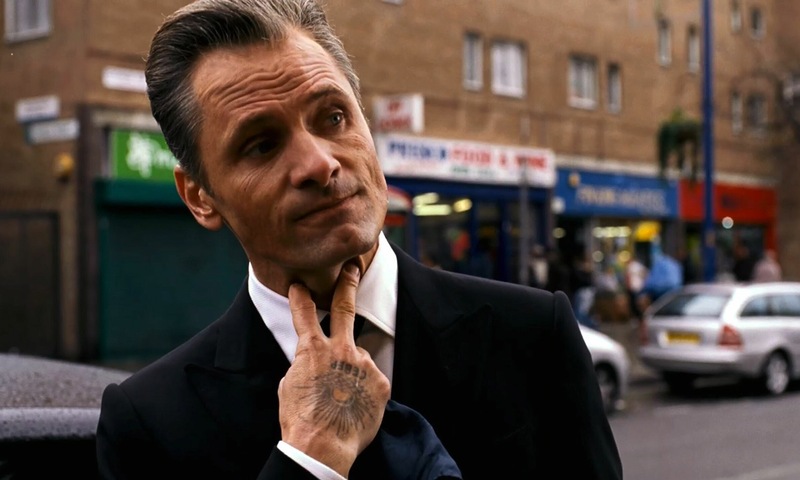 I enjoyed Eastern Promises even more after a recent rewatch. Looking forward to catching A History of Violence again as well. Probably my two favourite films from Cronenberg. I’m with you on all accounts Sati. Viggo was outstanding here and definitely one of his finest moments. A History of Violence was great too but this is a stronger film and it would have been even stronger had they not rushed the ending. I heard about that sequel talk. Can’t fathom what they were thinking there at all. Thanks for reminding me that I have a copy of this film on DVD that I still haven’t seen. Great review Mark. Cheers Vinnie. This one is worth a watch, mate. If you like Viggo (which I know you do) then you’ll really appreciate his work in this. Arguably, his best. Certainly one of them. I’m definitely going to watch it now. Viggo never lets me down. And he won’t here, mate. He’s outstanding. A well deserved Oscar nomination. Nice man. Good trivia too! Sad to say that I’ve never seen this, which is a crime as I love Cronenberg! I’m not Cronenberg’s biggest fan, mate, but I really liked this. In fact, I’d probably say it’s his best film. I really love this movie. I like how Cronenberg pays so much attention to detail here, and there are always great characterisations and powerful dialogue sequences in his films. He always sets the atmosphere just right. Well, maybe as long as he is not too ambitious, focuses on a narrower plot line, and has only one/two main characters. A Dangerous Method was a bit of a disaster. Have you seen his Dead Ringers, btw? It is pretty impressive too. It’s the attention to detail that really sells it for me. It’s such an intriguing underworld he ventures into and Mortensen brings the perfect support to that intrigue. That said, the attention to detail and pace were so well judged that it led to the ending feeling very rushed. Other than that, though, I really liked this. I’m not Cronenberg’s biggest fan but I did see Dead Ringers many years ago. To be honest, I remember very little about it and even though I’ve heard some bad opinions on A Dangerous Method, it’s still one I’ll catch up with. I should check this out, looks like it is well worth a watch. Great write up Mark! It’s definitely worth a look, Zoe. I’ve seen it a couple of times now and it was even better on a second viewing. You are torturing me, aren’t you? One after the other of films I love but haven’t seen in ages. Damn you! I also liked that it explores Russian mobs. Haven’t seen much of that until John Wick (Chpater 2 still aint out in Australia =/) and that was nothing compared to this. So Viggo hasn’t won an Oscar right? I know he chooses eclectic films for the most part, but still, how the hell does one of the best actors on the planet not have one? Or hopefully I’m wrong and he landed one somewhere. He was nominated last year for Cap Fantastic right? I know he didn’ win tho. Nah, man. Viggo has never one an Oscar. It’s a travesty. He is one of the most underrated actors and deserves more recognition. Although, I don’t want him becoming some big Hollywood star, I’m liking the smaller projects he’s been getting involved in.